The final course in the Supply and Logistics Specialization integrates all of the concepts contained within the previous three classes. Global Supply and Logistics planning and strategy development is the primary focus. This is a case study based course where each week students are expected to analyze and prepare supply and logistics cases in an international setting. Emphasis is on developing analytical and problem-solving skills and generating the quantitative and qualitative information necessary to make superior managerial decisions. There were total of 14 cases that would be divide into group case analysis and individual analysis. This final course is taught by both Dr. Cliff Allen and Dr. Lee Buddress. This class represents the final opportunity for students to demonstrate the supply chain and logistics skills that have acquired from the previous courses in the summer. The objective of this course is to examine and evaluate real business problems by emphasizing on sorting symptoms from underlying causes and on proposing solutions that are workable in the specific case setting and time period. The students will be using the skills and framework/models they have acquired from the previous course in applying for find a solution for particular case setting and its market. This course helps improve critical thinking skills and case analytical. We need to consider every aspect of business in such marketing and finance as well in trying to find the best solution for it. Thunyarak Katikavongkhachorn or Goy is a full-time student in Master of International Management Program. She received a Bachelor of Science in Accounting from Portland State University. She was interested in studying MIM program because she would like to broaden her career in supply chain and logistics at the global level that focusing on Pacific Asia while studying Chinese as a third language. She currently specialize in supply chain and finance in the MIM program. 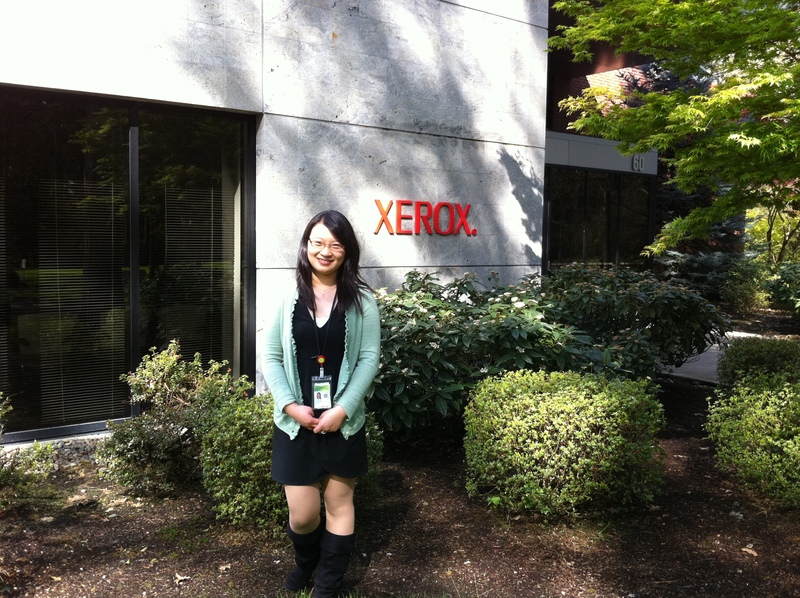 Gigi Rong, who graduated from the MIM program in December 2010, is a Supplier Manager for Xerox in Wilsonville, Oregon, where she has worked for approximately 10 months now. 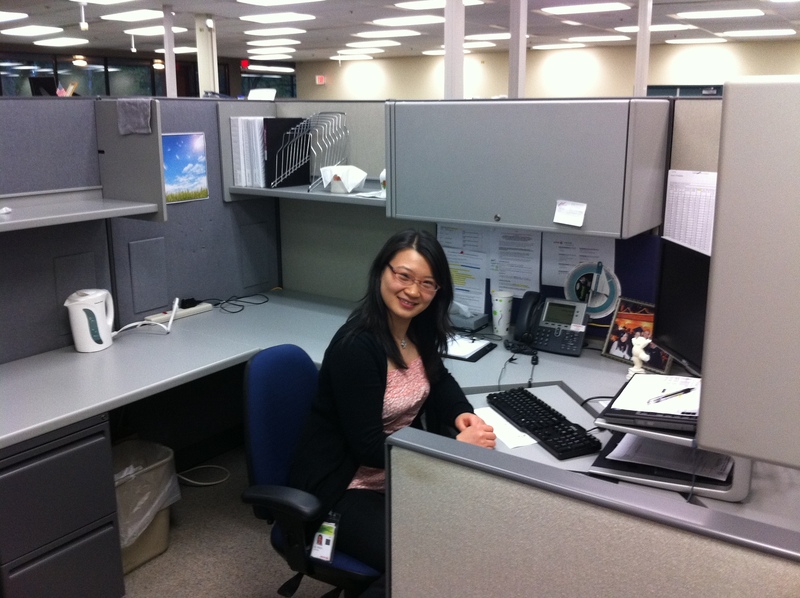 This is where Gigi Rong, Xerox Supplier Manager, gets business done for Xerox. Gigi, MIM 2010 alumni, found her current job while she was still in the MIM program. The MIM program requires all students to take MIM 558: Comparative Operations and Management, taught by Dr. Leeland Buddress, who is very well connected in the business community. One of Dr. Buddress’ former students in Xerox Wilsonville’s Global Purchasing department sent Dr. Buddress an email encouraging students to apply for an open position. In particular Xerox Wilsonville was looking to hire international students who were willing to transfer to Asia in the future. Dr. Buddress always forwards job opportunities from his contacts on to his current and former students. Gigi submitted her resume by email to Dr. Buddress who then forwarded it on to his Xerox contacts. Xerox has operations in Europe, America, as well as a number of Asian countries including both China and Japan with plans to further expand in the Asia region. Gigi was interested in this position because she specialized in supply chain in the MIM program and she thought it would be a good opportunity to incorporate her first-hand knowledge of Asia. Gigi has grown up in China, lived in Japan and has studied in the U.S. She is fluent in Mandarin, English and Japanese. A manager at Xerox followed up with Gigi by phone after receiving her resume submission via email. He spoke briefly with Gigi to talk about the position description and Xerox’s plan for someone in the position. He scheduled a formal phone interview to happen at a later date to talk more in depth about a paying internship that would lead to a formal job position as a Xerox Supplier Manager. At first, upper management looked into the possibility for Gigi to eventually transfer to Singapore, Malaysia, or South Korea. However, Gigi requested a transfer to Xerox’s Japan office due to the fact that she is fluent in Japanese. Shortly afterward, she was scheduled to come in to the Wilsonville office for a formal interview in person. Gigi had a panel interview at their office that included four people: three managers and one person from upper management. Following the Wilsonville interview she had a phone interview in both English and Japanese with the General Manager and Office Manager from Xerox’s Japan office. The whole process from the point when Gigi submitted her email of inquiry to Dr. Buddress until she started her internship was approximately 4-5 weeks (the official job offer came the month following her graduation from the MIM program). Until this point Gigi had spent most of her time in school. 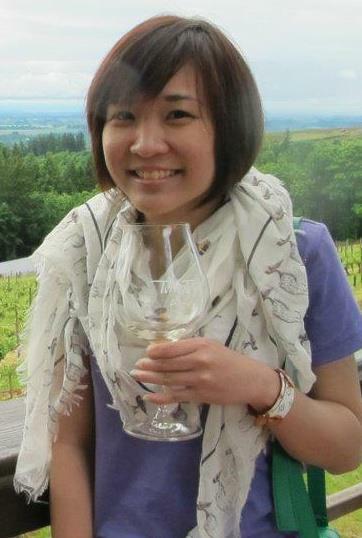 She had a little previous work experience in mainly academic settings at an American Education Center, as an instructor at Japanese Cram School and as an office assistant for a Taiwan Non-Governmental Organization (NGO) training program at Portland State University (PSU). The MIM program assisted Gigi in making a complete career change. 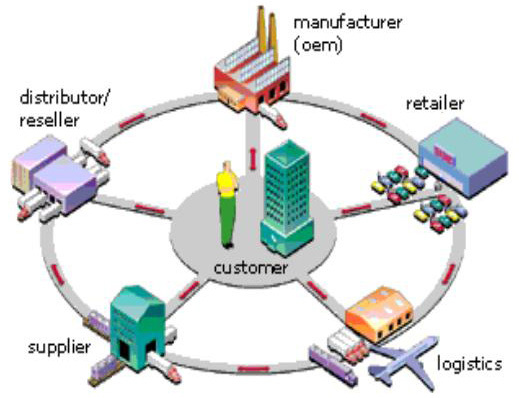 In the program Gigi specialized in supply chain as well as marketing. MIM students are required to take 12 extra credits toward a specialization. Gigi took two classes in the MIM program in supply chain – MIM 558: Comparative Operations Management with Dr. Buddress plus one additional four-credit course in supply chain as one of her elective selections. The internship at Xerox fulfills an additional four-credit course in supply chain for the MIM program. For the other four-credit elective, Gigi chose to take a marketing class. PSU has close connections to a lot of local businesses and although not everyone might benefit, Gigi thinks this is a definite draw for going to school at PSU because it helps a lot of students find job opportunities. Gigi believes that Dr. Buddress’ close connections with the business community assisted her with getting her current Xerox position. Gigi’s valuable takeaway from the MIM program is learning time management skills. The MIM program is stressful in that it is very credit-intensive over such a short period of time (15 months for full time students and 27 months for part time students). She uses time management skills in her current position and feels that she is able to deal quite well with her busy and demanding job. In addition, Gigi feels that that learning how to work well with a variety of people is a very valuable lesson from the MIM program. She appreciates getting an “American perspective” on work style, which she lacked the knowledge and experience prior to the MIM program. According to Gigi, every day at the office is “so different.” Xerox’s Wilsonville office focuses on the introduction of new products. As a buyer, her job is to work with engineers to purchase parts for new printers from suppliers that are located all over the world. She needs to make sure those parts are purchased at the lowest cost possible and that they are delivered on schedule to meet the build date. Every buyer might be in charge of several modules (approximately 200 parts) for a new printer. The buyers will contact their suppliers for quotes, delivery dates, check packaging, compare parts and prices with different suppliers and keep in contact with engineers to discuss specs. One issue to consider is the fact that suppliers are overseas with many of them located in Asia. With time differences Gigi must sometimes stay at the office late at night to communicate with office staff located in Asia. A “typical” day at the office begins at approximately at 8:30 a.m. and the first thing Gigi usually does is check her emails. She spends some time addressing the urgent issues that are time-sensitive, especially when they involve foreign suppliers or overseas offices. Working with her Asian counterpart to solve problems can sometimes take a few hours of her time. Sometimes she will meet with her Xerox mentor to brainstorm the best ways to address difficult issues. She gets an hour for lunch break but usually sits at her desk and only takes ten minutes to eat. Gigi spends the rest of her lunch break “getting stuff done” because this is a time where other coworkers are out of the office, which allows her to have uninterrupted time to “really get things done.” There are usually two-to-three hours of meetings every day, including weekly staff and engineer meetings. When she is not in a meeting she will be checking requisitions (engineers’ request for items they want from suppliers), she might look into issues with getting parts, or submit purchase orders. When Gigi receives the needed parts from suppliers she checks invoices to make sure suppliers can get paid. Periodically Gigi works with supplier quality engineers to discusses potential sourcing methods (suppliers) and follow up with design engineers regarding the parts design progress. Xerox buyers are always on the look out for new opportunities to try to get costs down while not losing quality. Gigi feels very satisfied when she can negotiate even a very small price reduction on a part because in the end she knows it saves the company a great deal of money. This is especially satisfying at a time when the cost of raw materials is rising. This makes Gigi feel like she has really accomplished something. Next year, Gigi will be transferring to Xerox’s Japan office. Asian offices are mainly responsible for sustaining projects at Xerox versus Xerox Wilsonville’s office that focuses on innovation. In Japan Gigi will have the opportunity to learn the production and operations (mass production) side of the business versus lab-built products in the Wilsonville office (experimental/samples). This will increase Gigi’s experience with Xerox. NOTE: Gigi had a lot to share with me in her interview, which is great, because this is all good stuff! I decided to post these as two separate blog posts. Be sure to follow up with the MIM blog and read about Gigi Rong, Part II. Part II content is also very interesting because Gigi shares her thoughts on the MIM program, what parts of the program were her favorite things, as well as what MIM class helps her the most at work.